Okay here is an easy one for ya. Print out the Sheep Template and then laminate it. Cut him out and lay aside. Now bake a regular sheet cake. You will want to ice the cake down with white frosting first. Then take your cutout sheep and lay it down in the middle of the cake. Then you can either leave it like that or you can make sheep curls all over the cake using a #107 Cake Tip. 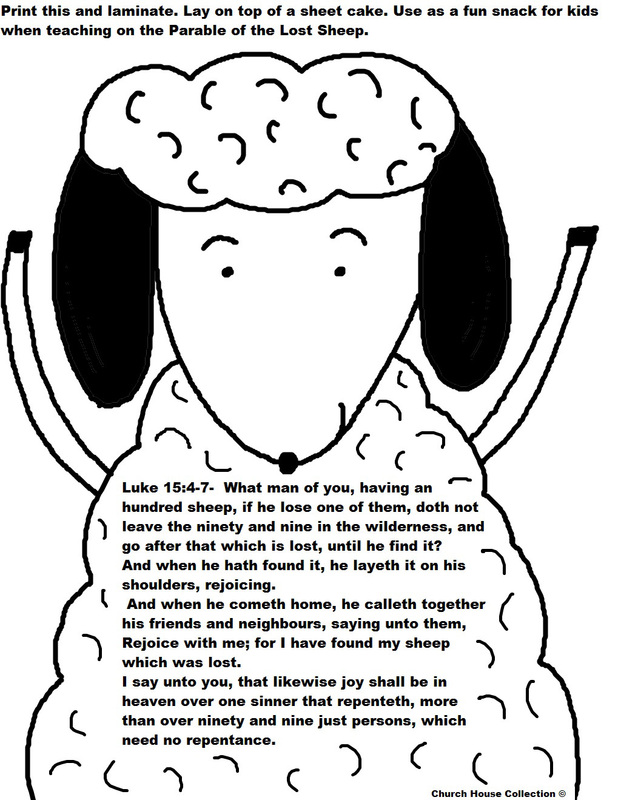 That is just the one I wanted to use.The scripture from Luke 15:4-7 is on the front of the sheep template. I am using the cake with, "The Parable Of The Lost Sheep Lesson".